Spring asparagus has never tasted so good! Show off the season’s favourite vegetable in our asparagus salad with balsamic vinaigrette. 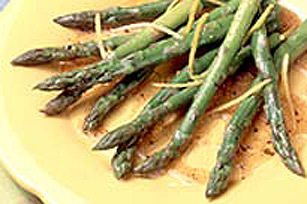 STEAM asparagus until tender; drain and rinse under cold water. DRIZZLE dressing over asparagus, toss to combine.